Apparently, that elusive state of amazing skin known as a "glow" is beauty's new holy grail. One of the most searched-for beauty terms online, it’s a goal we want to achieve at any age, and we’ll try pretty much any new hope in a jar – or in a palette – in the hope of getting it. Being well rested is a great start when you’re looking to get glow-y, and optimal skin regeneration and cell renewal, in which the signs of fatigue are replaced with a glowing complexion, takes place between 10:00 p.m. and 2:00 a.m. We all have the best intentions when it comes to sleeping soundly during that period but hey, life happens! As a result, your complexion can lose its glow. This is where Lancôme’s Absolue Precious Cells Rose Drop Night Peeling Concentrate comes in, a stellar product that I haven’t been able to use until now due to all of my skin issues. After just a couple of applications I am all about it though – and can’t recommend it enough if you too want to get your glow back! Absolue, the last Lancôme range created by the French House, Armand Petitjean, continues to advance its legendary reputation and that of its star ingredient, the rose, through incredibly sophisticated products that are adapted to the way women lead their lives today. To allow skin to regenerate itself no matter how well you sleep they developed Absolue Precious Cells Rose Drop, a concentrated peel designed for evening use that features a rose-based nourishing oil to leave skin glowing with health. Rose Drop adds nourishing properties to the exfoliating power of a peel, which makes it a loss less scary and more effective than most. In true Lancôme style, Rose Drop even comes with its own gentle application method. Just add a few drops into the palm of your hand, and then spread it evenly across your entire face - avoiding eye contour and lips - with a circular movement, then pat the remaining product into your skin. The peel’s exfoliating effect is enriched by ingredients such as Glycolic acid, a powerful active often used by dermatologists and aesthetic doctors. Glycolic acid is able to penetrate the first superficial layers of the skin and is effective at evenly removing dead cells and supporting cellular renewal. The nourishing phase, which is made up of argan and rose oil, provides the skin with comfort and restores radiance. Love that. You can also use the Rose Drop in some additional ways, by mixing a few drops of the peel with your night cream to amp up its effectiveness, or to your sheet mask before applying it to your face. You can even speed up the process of getting rid of blemishes by applying the peel with a cotton pad to target problem areas. Like all peels, it is important to apply a skincare with at least SPF 15 the next day. So there you go – winter skin feeling a little dull? This baby comes highly recommended. 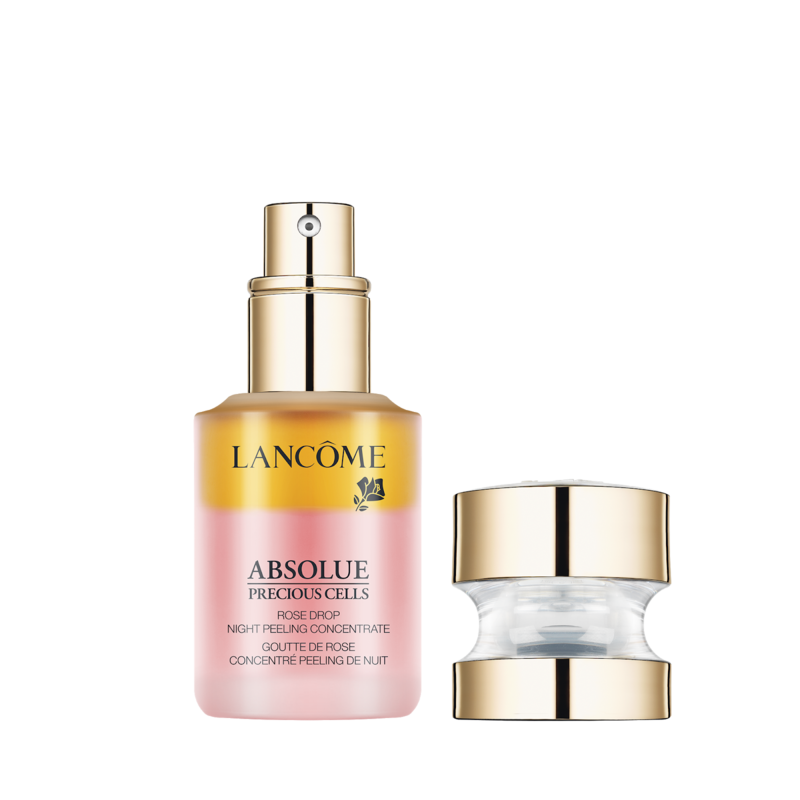 Lancôme Absolue Precious Cells Rose Drop Overnight Peel is on counter now, with an RRP of $225.00.